Chapter 2 Credibility, or Why Should I Insist on Being Convinced? Chapter 7 Why Is It So Hard to Learn to Program? Do Students Have Difficulty Learning to Program? What Do People Understand Naturally About Programming? Chapter 8 Beyond Lines of Code: Do We Need More Complexity Metrics? So Do We Need More Complexity Metrics? Chapter 10 Architecting: How Much and When? Does the Cost of Fixing Software Increase over the Project Life Cycle? How Much Architecting Is Enough? Does the Architecting Need to Be Done Up Front? Chapter 12 How Effective Is Test-Driven Development? The TDD Pill—What Is It? Chapter 13 Why Aren’t More Women in Computer Science? What Is All This Talk About? Chapter 19 A Communal Workshop or Doors That Close? Why Is Coordination a Challenge in GSD? Chapter 21 How Effective Is Modularization? Why Might Design Patterns Work? 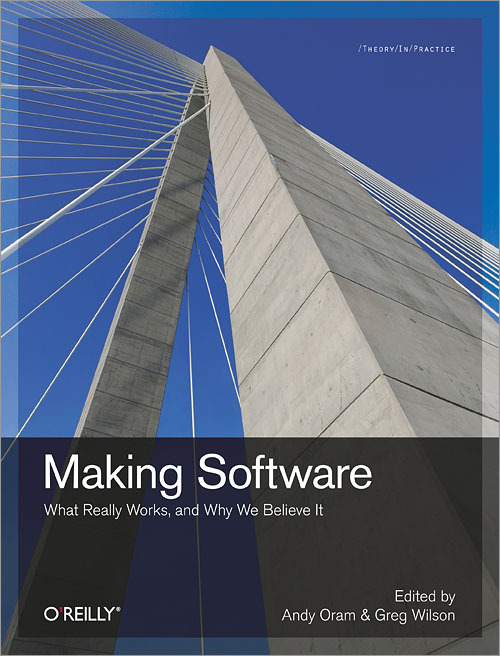 Chapter 25 Where Do Most Software Flaws Come From? What Should You Believe About These Results? What Is There to Mine? Chapter 29 How Usable Are Your APIs? Why Is It Important to Study API Usability?